This sewing pattern was inspired by my love of miniatures. 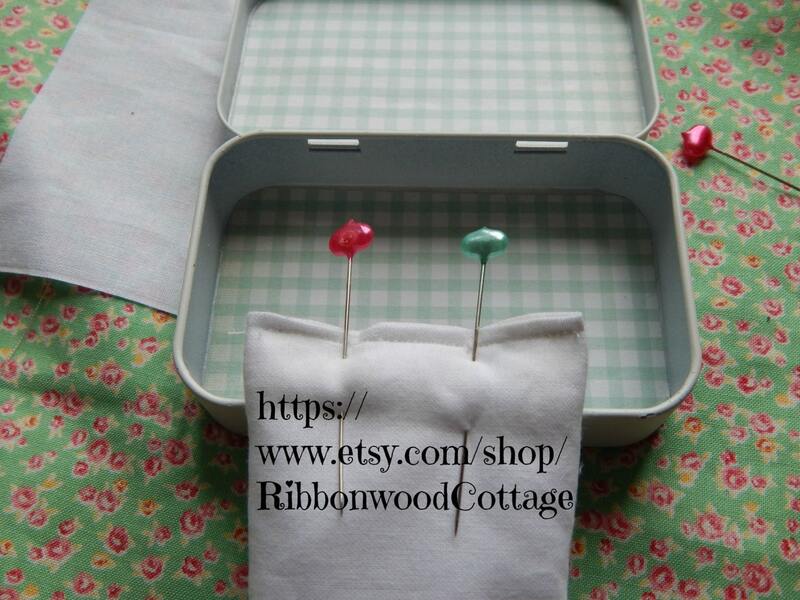 As a child I loved taking little boxes filled to the brim with little dolls, scraps of fabrics, and papers, all to make a little doll room with the contents in the box. This is the first of my pattern collection designed for this sized doll. I have been approached by doll companies to design bedding, and decided I needed to venture into this and make all the designs I see in my dreams! 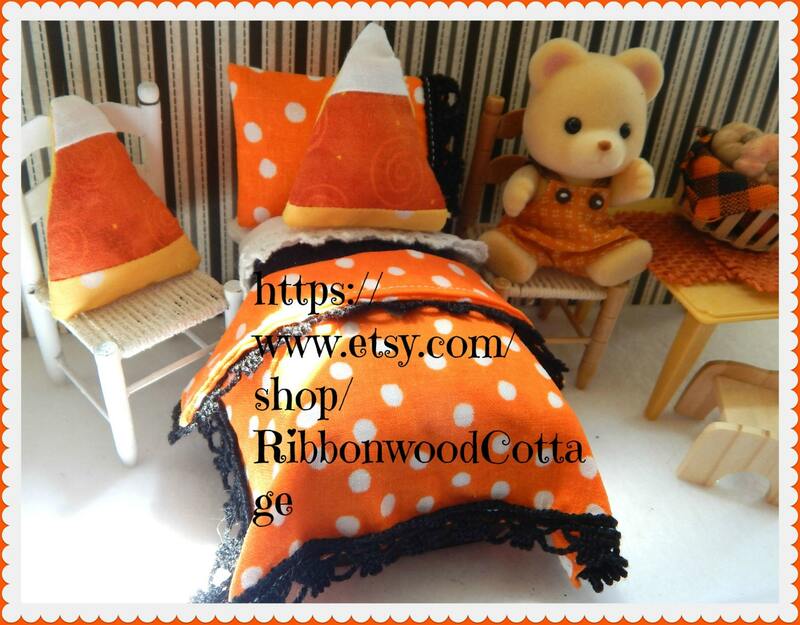 This pattern is a PDF pattern and you will be able to download the file after purchase. You are not receiving a printed pattern but a downloadable PDF pattern that you can open up and see, and follow directions to make the bedding and bed you see in the pictures. 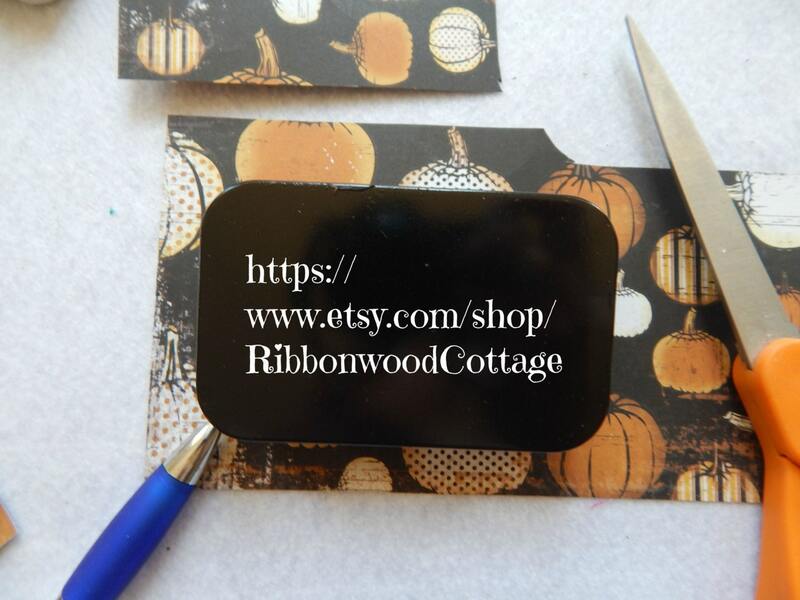 There is a page with patterns on it at the end of the pattern which you will be able to print off and use if needed. But all the pattern pieces are rectangles and squares, and I have provided you the measurements for each item so you are able to easily use a ruler for measuring and cutting out pieces. This is a very easy pattern to follow. 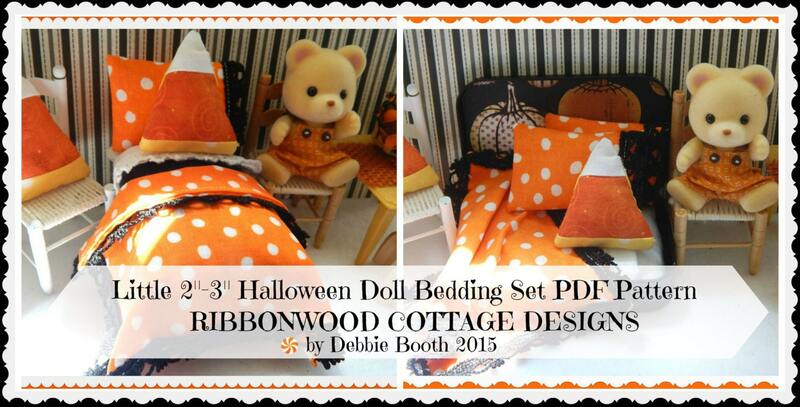 You are getting the PDF downloadable pattern and not any of the fabric or supplies pictured in the listing photos. This pattern is one of many that I am publishing to help make a little play world with a few easy materials. The directions are easy, and will help you create something your little one can take with them anywhere, it will fit in your purse, or tote bag, diaper bag, and can be brought out to provide a little quiet play time. Your pattern includes directions for putting the bed together and all the bedding that goes with the tin...including a mattress, flat sheet, blanket, comforter, pillowcase and pillow. 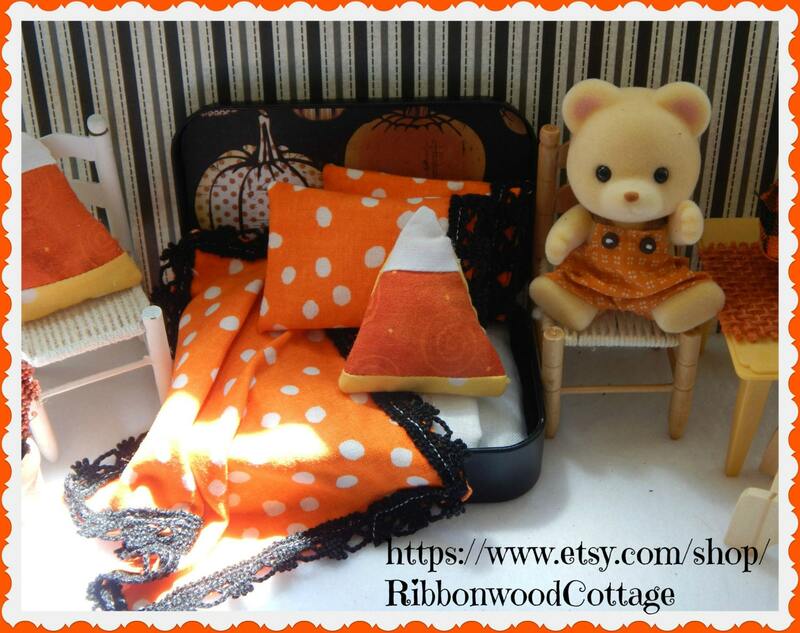 Also included is the pattern for making the Candy Corn pillow. The pattern is not to be copied or shared via Internet, Social media, etc. Bed design is copyrighted by me.